Instead of select the columns on your GridView using the GridView's "Edit Columns" wizard, you can use a custom SELECT statement that you write to display the appropriate columns. In this blog we will write our own custom SELECT statement to display the category name, and supplier company on our GridView control. 1. 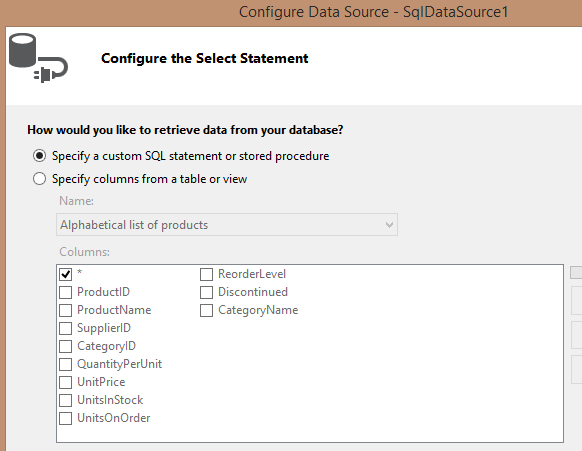 Click on the ">" icon on the SqlDataSource1 control, then click on the "Configure Data Source"
3. 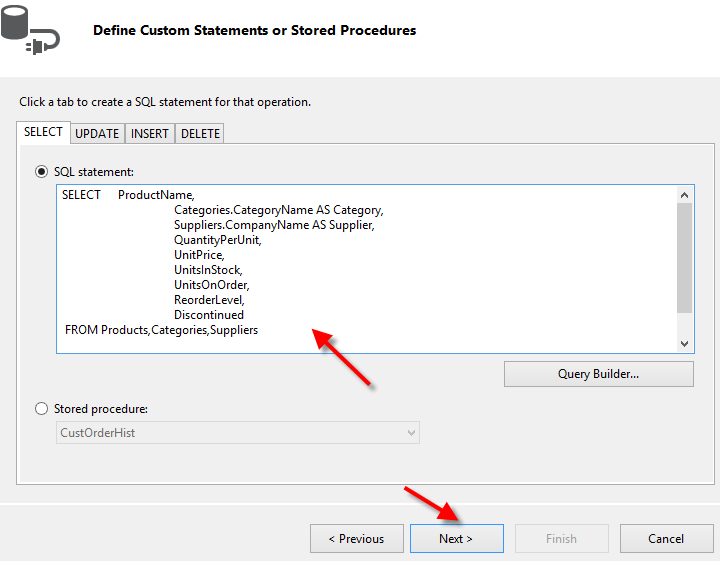 On the "Define Custom Statements or Stored Procedures" screen select the "SELECT" tab, and then type in the following SELECT statement to get the CategoryName field in the Categories table, and the CompanyName field in the Suppliers table. Then click on the "Next" button. 4. 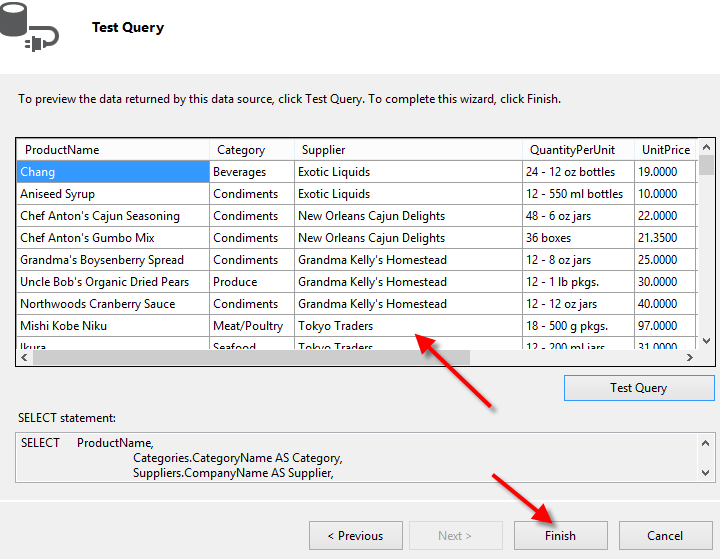 On the "Test Query" screen click on the "Test Query" button see the results that the query will bring back. Notice that on columns Category, and Supplier the data from the CategoryName and CompanyName fields are displayed, respectively. Click "Finish"